Roshan Emam, D.D.S is passionate about providing patients with the best care possible, and that means using state of the art technology. Rest assured that when you are here, you receive the best care possible with the help of top-notch, modern equipment. 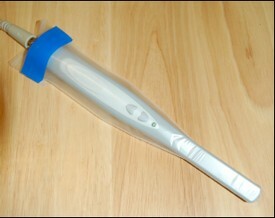 In the past, dentists used a metal scraper pick to clean teeth. 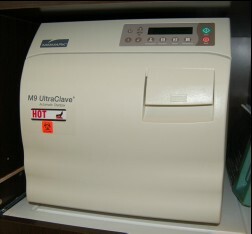 We use a Swiss-made ultrasonic machine that uses high-pressure water to flush the bacteria from underneath your gums. This tool allows us to provide a more detailed and effective cleaning. Digital X-rays are taken while you sit in the chair, and you can view them instantly on the computer monitors in every exam room. No more waiting for the film to be developed! Digital X-rays emit 90% less radiation than a traditional film X-ray. The amount of radiation you receive from a full set of dental X-rays is less than the radiation you get on a cross-country flight! 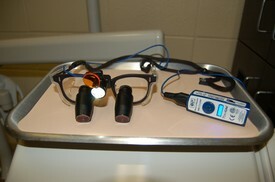 An inter-oral camera is useful because the patients can see what Dr. Emam sees on the chair-side computer monitor. 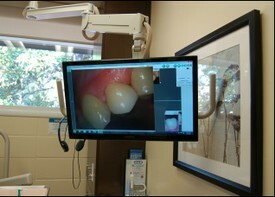 It shows a picture of a magnified tooth so you can see all the details as Dr. Emam sees them. No more pulling away lips and trying to angle a mirror to see a tooth. Dr. Emam wants patients to see their teeth because a picture is worth a thousand words! We want all of our patients to understand their dental care and this tool helps us achieve this goal. 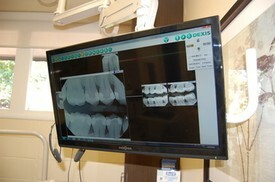 We provide chairside computer monitors that allow you to see all of the aspects of your treatment, including dental records, pictures or X-rays teeth and gums, and what your teeth look like before and after treatment. We want you to be an active partner in your treatment and the computer is the way we teach you and help communicate. The monitors are not just used for patient education; they're also for entertainment! We have a large selection of DVDs and patients can sit back, relax, and watch movies during their dental exams and treatments. We have two types of sterilizers: a Statim steam sterilizer and a UltraCare heat sterilizer. We are in full OSHA compliance and your safety is important to us. We take every step necessary to make sure that our tools are safe and ready for you. Dr. Emam's magnifying glasses, "4.5x loops"
Roshan Emam, D.D.S says of her glasses: "What can I do to be better so my patients get the best treatment? I'm always looking for ways to improve myself. Whether it's with equipment, technology, or education. I can see so much detail with these loops. It's hard to miss anything with this amazing technology! These are state-of-the-art. They have 4.5x magnification. It's like a microscope for your teeth. The LED light leaves no room for imagination!" Curing lights are used to cure white colored fillings and to bond crowns.Traditional curing lights are bulky, noisy machines that look like hair dryers. 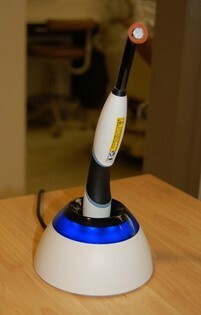 Our new cordless curing light is the same size as an electric toothbrush, 1/8th the size of the old machines. 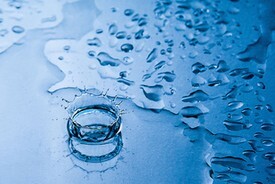 We exclusively use purified, self-contained water during dental work. 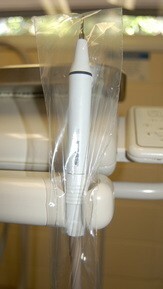 This ensures that only sterile, pure water is used during all dental treatments.